America is in trouble. At 62 years of age, I’ve lived long enough to learn that neither the Democrats nor the Republicans can turn this country around; no political party or politician is the answer. Next year I am planning to travel to all 50 states to conduct prayer rallies—we are calling this the Decision America Tour. 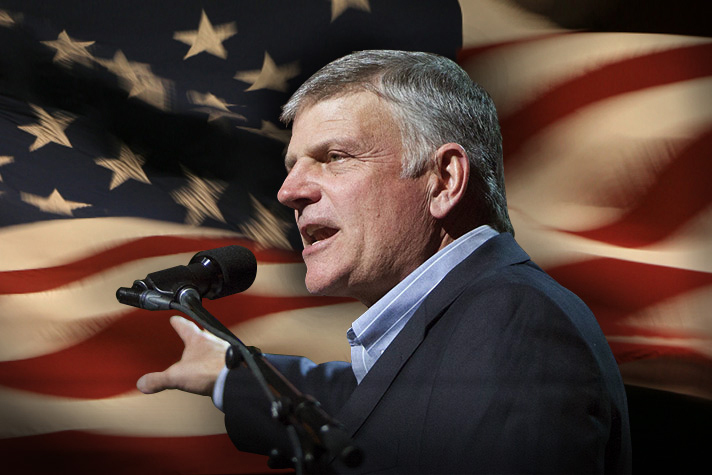 I want to challenge Christians to boldly live out their faith and to pray for our nation and its leaders. I want to encourage Christians to get out and vote, and to cast their ballots for candidates who uphold biblical principles. I want to strongly urge Christians to run for public office at every level—local, state, and federal. We will not be endorsing any political candidates, but I will be proclaiming the truth of God’s Gospel in every state. More details will come later. I hope you will start praying with us now. 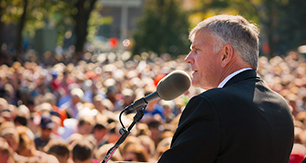 Franklin Graham serves as president and CEO of the Billy Graham Evangelistic Association and the international Christian relief and evangelism organization Samaritan’s Purse. Franklin regularly addresses current moral and social issues, challenging Christians to make a difference in the world. As an evangelist, Franklin has preached to more than 8.1 million people in cities from Johannesburg, South Africa to Tupelo, Mississippi. Through the organizations he leads, Franklin has been instrumental in helping people impacted by crises including the 9/11 terrorist attacks, civil war in Sudan, and natural disasters ranging from the tsunami in South Asia, tornadoes throughout the southeast United States to the massive earthquakes in Haiti, China and Japan.